Dorothy is like, the smartest millennial I know. (Just kidding, I love all you crazy kids.) She’s competing in a field that’s dominated by both men and techy, douchey jargon. Coincidence? Hmmmm…. Anyway. 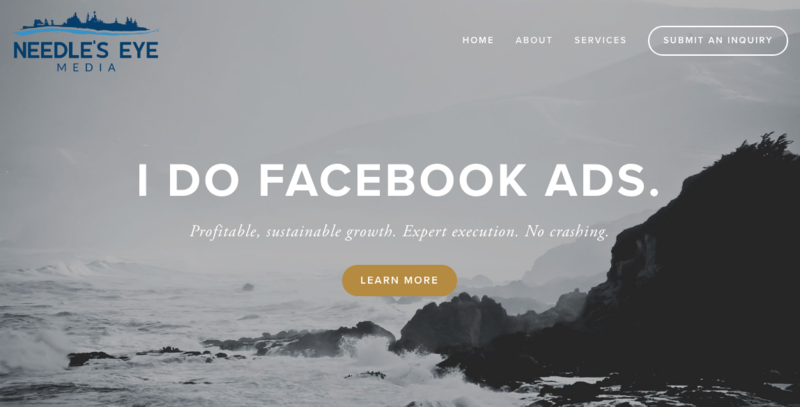 Most of her clients are male, so she needed a site that conveyed her absolute badassery at all things Facebook Ads — while still remaining true to the unusual personal story behind her business.